A BBC Panorama investigation found private hospitals are not reporting enough data on patient outcomes. Patients may be being put at risk by the failure of private hospitals to report serious incidents, the Royal College of Surgeons (RCS) has warned. This means the private sector "cannot be as robust or as safe as the NHS", RCS president Derek Alderson said. 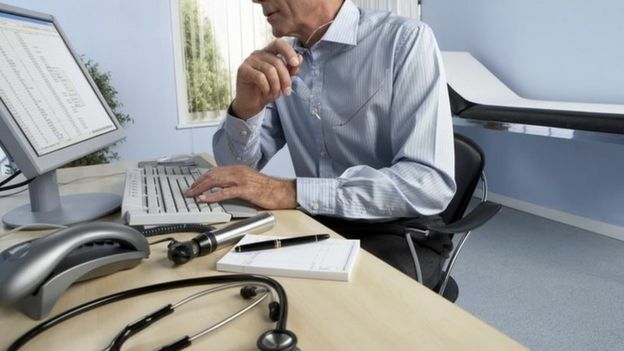 The government says new guidelines will lead to tougher enforcement action against failing clinics. The concerns, raised by the RCS, are focused on reporting serious incidents and so-called "never events" - extreme mistakes that should never happen. These are not reported to national databases in a consistent way or at all, the RCS said. It also warned that clinical audit data is lacking from the private sector, such as not submitting datasets on the outcomes of cancer surgery, despite undertaking many cancer procedures. Mr Alderson said: "We don't know exactly what's going on in the private sector. "It cannot be as robust or as safe as the NHS at the moment for the simple reason that you do not have complete reporting of all patients who are treated. "It's not good enough. Things have to change," he said. The RCS also points to gaps in reporting on cosmetic surgery, where there is no dataset on the total number of operations. Much of the private healthcare industry accepts there is a problem with data and transparency. Brian O'Connor, of the Independent Doctors Federation, said: "It's up to private hospitals to raise their game and to show the data and the excellence of care, because there is nothing for them to hide." Mr O'Connor, whose organisation represents 1,200 private doctors, added: "Those private hospitals which don't have the data and are not transparent should be closed or not be allowed to conduct complex medical procedures." Panorama heard from victims of rogue surgeon Ian Paterson, jailed for 20 years for intentionally wounding patients. Although he was found to have harmed patients in the NHS, more than 700 people were harmed by him in private hospitals, including Beryl Parkes. Paterson removed one of her breasts and she needed further operations to rectnify his mistakes. Ms Parkes said: "You believe a doctor, don't you? They take oaths for people to do their best for them." But nobody was supervising Paterson. And when Ms Parkes's treatment was eventually reviewed, it turned out she should not have had any operations - because she did not have cancer in the first place. "He should have got life," she said. "And I think that's too good for him, because it must have been basically all over money." Paterson's supervisors at Spire Healthcare were criticised for failing to manage their high-earning surgeon. The company told the BBC it is "truly sorry for the distress experienced by patients". Panorama also learned that some patients are unable to get compensation if they are harmed by a private surgeon. The hospital might refuse to accept liability because the surgeon is an independent contractor with "practising privileges". Lawyer Suzanne White said: "Any patient that goes through a private hospital will assume that they will be covered, and they are simply not. That is astonishing." Patients may not be able to get compensation from the surgeon's insurance company either, because if the insurer decides that the surgeon has broken the rules, they can refuse to cover them. It is a rare gap in the system, but disastrous for patients. Mr O'Connor responded: "To say a patient who has had wrong done to them is not going to get proper compensation is totally reprehensible." He wants the government and private health organisations to ensure patients are compensated properly. 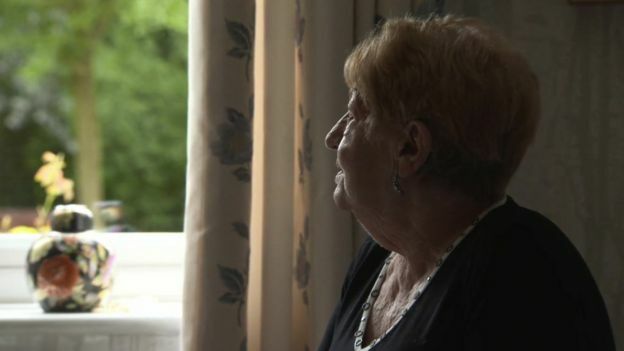 Panorama has discovered a case where a patient who had been harmed was unable to get compensation from the private hospital or the surgeon responsible. He successfully sued the NHS instead, because his first consultation was in an NHS hospital. Even the lawyer who won the case thinks it was wrong that the NHS was forced to pay up. Suzanne White said: "I feel entirely uncomfortable about it and very cross, because I see it quite often. "Why is it that a private hospital that has a doctor who has given negligent care - and profited - does not compensate those patients? "Why is it the NHS has to foot the bill?" Last year, more than 500,000 NHS patients were referred to private hospitals. But the fastest growing area in the sector is self-pay, where people without insurance fund their own treatment to the tune of almost £900m annually. Together, NHS referrals and self-pay patients make up nearly half the private health sector's business. The Association of Independent Healthcare Organisations said there is strong evidence that the independent sector is safe and patient safety is as much of a priority as it is for the NHS. It said the Care Quality Commission has rated nearly 60% of private hospitals as either good or outstanding for safety. The Department of Health said new standards have already set out clearer requirements for the delivery of safe care. It said tougher enforcement action will be enabled against failing providers. Cosmetic surgery clinics will now be rated by the CQC, and private hospitals must ensure ratings are displayed both within premises and online.